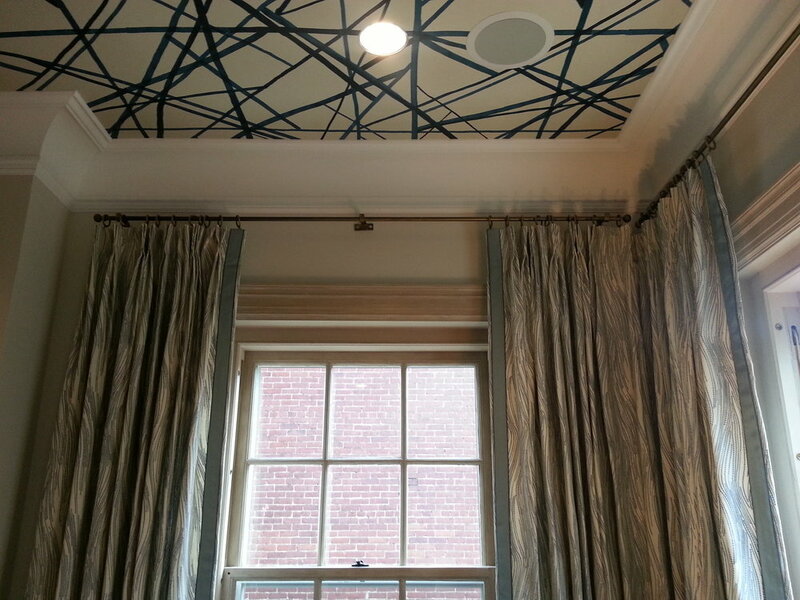 Choosing the right fabric to match the dramatic ceiling was our number one focus. 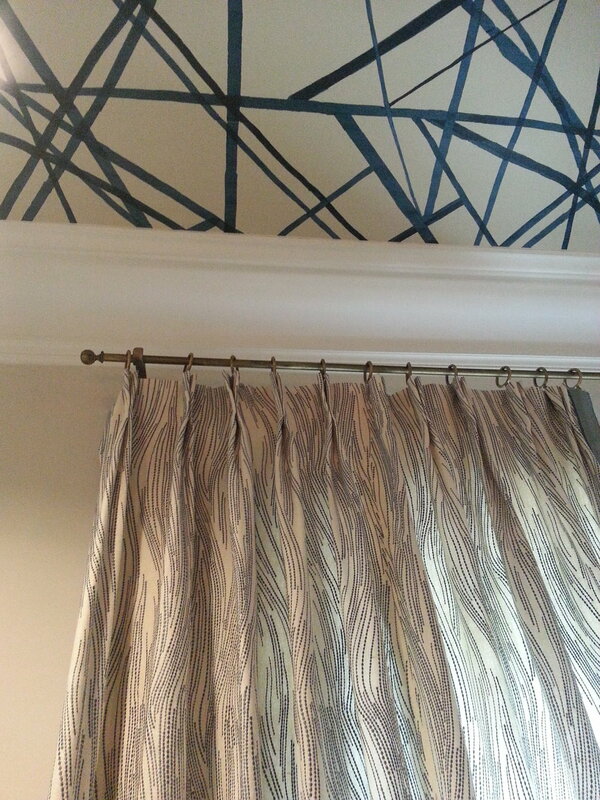 The wallpaper is called channels and is by Kelly Wearstler. The fabric for the draperies is by the same designer. The beautiful embroidered pattern compliments perfectly the ceiling wallpaper and finishes this stunning dining room in the Georgetown house. Do you agree?